Bill Barber grew up in Havana, Florida and graduated from Tallahassee North Florida Christian School. He attended Florida State University for two years until he sensed God calling him into ministry. He transferred to Gardner-Webb University of Boiling Springs, N.C. where he received his Bachelor of Arts degree in Religion. He received a Master of Divinity from the New Orleans Baptist Theological Seminary. He has been preaching for 20 years and has been the pastor for churches in New York, North Carolina and Texas. 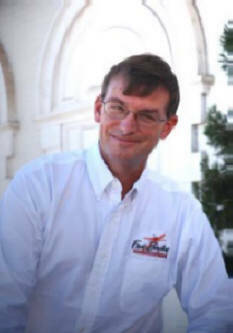 He has been pastor of First Baptist Thomaston since September of 2001. Bill Barber is married to the former Michele Spengler and they have two sons, Ben and Zach. He enjoys sports, golf, reading and spending time with his two very active boys. Mr. Allen Goode, Maintenance Supt.